Reloading your own ammunitions could be the best way for you to save on buying ready-made bullets and even customize your own. For most seasoned reloaders, the most common reloading press that they use would be the progressive type of reloading press. This type of press is known to be the fastest in terms of producing bullets compared to the other types which are the single stage reloading press and turret reloading press. Progressive reloading presses produce the most number of rounds per hour, depending on what caliber you are working on, one will be able to crack 500 bullets per hour. This particular type of press also requires minimal hand work since most of this equipment are built with accessories that does everything by itself, basically the reason why it can provide as much with just a little amount of time. Looking for the best progressive reloading press might be a little difficult since there are s many features that you will be presented with. Each and every brand have something great about their product that is worth considering, however, in the end, you only have to choose the one that you think could cater to your needs. In this guide, we will be looking at the three most trusted progressive reloading presses that you might want to consider. Most reloaders choose among these three products and would definitely recommend to others who are planning to get one for them. The Hornady Lock N Load Auto-Progressive Reloading Press has been one of the most popular reloading presses that most users choose. It is a 5 station progressive press that works all the way from sizing your cases up to the crimping stage. One of the best features of this particular equipment is its Quick Change Lock-N-Load Bushing Systems wherein it allows reloaders to quickly change their dies depending on the caliber that they are working on. What most customers like about this press, based on other Hornady Lock N Load review, is its Case Activated Powder Drop feature wherein it ensures that the reloading press would only dispense powder if a case is present. This makes sure that no powder is wasted as well as promoting safety. The Hornady Lock N Load also features the EZject System wherein reloaders can rely 100% that the cartridges are ejected all the time as they are done with the 5 stations of the reloading press. This does not require any additional adjustments and makes the press very efficient. Slightly more expensive than other brands. If you are looking for the best progressive reloading press that can cater to more than 120 types of calibers then the Dillon Precision RL550B Progressive Reloading Machine could be your best choice. Its sturdy and powerful design has 4 stages of reloading which can provide about 400 to 600 rounds in an hour. Its manual indexing may not be so bad at all as it allows the users to master every step of the process when reloading. This feature also makes it a good choice for those who are new to reloading. The first station does the resizing, de-priming and priming; the second stage is for the powder drop or the flare station. The next step would be seating the bullet followed by the crimping stage. These easy steps of reloading make the Dillon Precision RL550B Progressive Reloading Machine one of the easiest to operate even for beginners. Dillon’s removable tool head is another feature that makes the job even easier for the reloaders. Have all your dies set up in their place as well as specific adjustments for a specific caliber. If you are working on other calibers, doing the same for another tool head is much better. Just simply replace on tool head with another and start reloading in no time. Die sets of standard 7/8” x 14 are fully compatible with the Dillon Precision RL550B, it also works on most pistol and rifle calibers that you may have right now. When it comes to reloading, the name Lee Precision is definitely known and trusted by most reloaders. It manufactures different types of reloading presses and all of them have been tested by most users to last for a long time. The Lee Precision Load Master 45 Reloading Pistol Kit is made of die cast aluminum material that makes it a heavy duty machine that could produce about 500 rounds per hour. Its Pro-Auto Disk Powder Measure is a great characteristic of the Lee Precision Load Master 45 Reloading Pistol Kit that ensures no leakage when charging your cases. It has a large hopper that can hold half-pound of powder which is enough to let you finish loads of bullet shells. This particular progressive reloading press has 5 stations that go all the way from de-priming until crimping shells. It also has an auto index feature to make sure that every pull of the handle gets done with a single stage process. This makes the reloading job faster and more efficient. This kit also includes dies, turret and #2L shell plate that would allow the user to start right away. 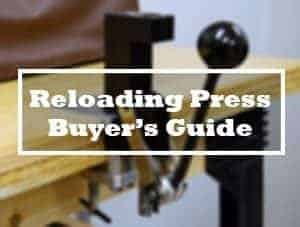 Deciding to get a progressive type of reloading press means that you need to produce thousands of bullets a day that you may use for your hobby or even commercial purposes. As mentioned earlier, the best progressive reloading press may not always be the same for every user; it will always be according to each user specific features that they are looking for. 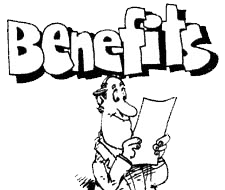 Before buying, you can always check for some online reloading press reviews that can help you better know what a particular product can offer; after which, setting a budget that you are willing to spend would be necessary to make sure you don’t go over what you can spend. Most progressive reloading presses do not include the set of dies that you will need for each of the calibers that you will be working on. Some may even want to purchase extra turret plates to lessen the hassle of changing dies quite often. Having all these in mind, you need to spare an extra amount for these items on top of the reloading press itself. Among these 3 progressive reloading presses that we reviewed, we can say that all of them have their specific features that are really beneficial to every reloader. With the Hornady Lock N Load as well as the Dillon 550b review, both offers almost complete accessories to make the reloading process easy and fast as everything is almost automatically done by the press. However, for the Lee Loadmaster review, this is the only press that includes dies and a turret which makes it available for any user right away. Although it may be a bit more costly compared to similar products, users will be able to save somehow as it already includes the parts that others may need to purchase later on. A progressive reloading press is usually considered and recommended for seasoned reloaders. However, some who are new to this hobby may also opt for this type of press if they wanted to save some buck on buying a single stage press or a turret press and later on decide to upgrade. Progressive presses are definitely more complex when it comes to setting up and during the process itself, but, as you get to load about a hundred or so, you’ll be able to get the flow in no time and be able to enjoy its speed and the number of bullets that you can produce in a single day. Keep in mind though that a progressive type may require more maintenance than other reloading presses due to its multiple parts attached. However, given that you can take care of it then surely it will stay with you for a long time.